Who today remembers Marikana? Who today remembers Heather Heyer? August 16, 2017, marked the fifth anniversary of the massacre of Marikana, in which 34 protesting miners were killed by the police, in the single most lethal use of force by South African security forces since the March 21, 1960 Sharpeville massacre, when security forces killed 69 people. August 16 2017, people gathered in Charlottesville, and around the world, for the memorial service for Heather Heyer, murdered by a white supremacist in Charlottesville, Virginia, Saturday, August 12. Both commemorative and memorial events were marked, in social and news media, with injunctions to never forget and to always remember. We will not forget you. #RememberMarikana #RememberHeatherHeyer #NeverForget. 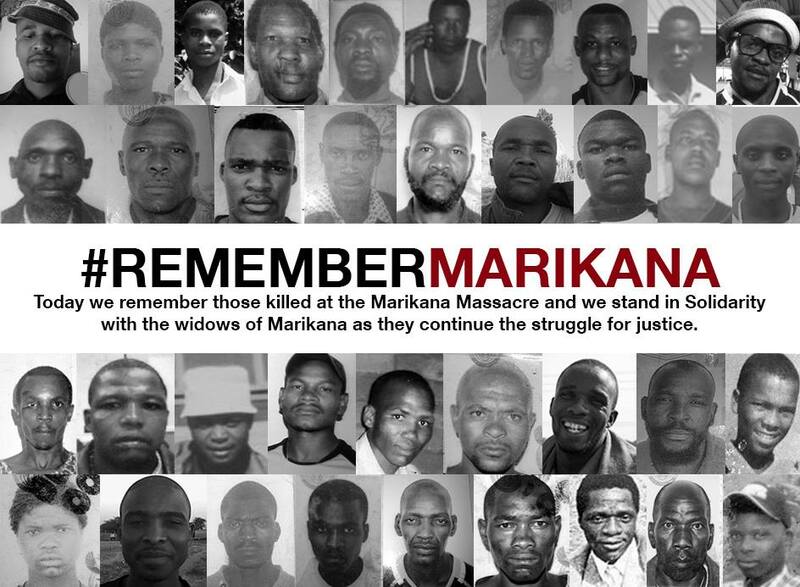 Will we remember Marikana? Will we remember Heather Heyer? We may have a trace of memory within, but that is not remembering. If we remembered, meaning if we held the moment or the event or the person(s) present in their absence, five years would not have passed as they have, and, five years from now, who will `remember’ Heather Heyer? I don’t mean that last question as a condemnation, but rather something to study and engage with, as those memories and remembrances will engage with us … or not. 34 miners were killed by bullets on a hill in South Africa. Their names are Tembelakhe Mati, Hendrick Tsietsi Monene, Sello Lepaaku, Hassan Fundi, Frans Mabelane, Thapelo Eric Mabebe, Semi Jokanisi, Phumzile Sokanyile, Isaiah Twala, Julius Langa, Molefi Ntsoele, Modisaotsile van Wyk Sagalala, Nkosiyabo Xalabile, Babalo Mtshazi, John Kutlwano Ledingoane, Bongani Cebisile, Yawa Mongezeleli Ntenetya, Henry Mvuyisi Pato, Ntandazo Nokamba, Bongani Mdze, Bonginkosi Yona, Makhosandile Mkhonjwa, Stelega Gadlela, Telang Mohai, Janeveke Raphael Liau, Fezile Saphendu, Anele Mdizeni, Mzukisi Sompeta, Thabiso Johannes Thelejane, Mphangeli Thukuza, Thobile Mpumza, Mgcineni Noki, Thobisile Zimbambele, Thabiso Mosebetsane, Andries Motlapula Ntsenyeho, Patrick Akhona Jijase, Michael Ngweyi, Julius Tokoti Mancotywa, Jackson Lehupa, Khanare Monesa, Mpumzeni Ngxande, Thembinkosi Gwelani, Dumisani Mthinti and Mafolisi Mabiya. Heather Heyer was killed by a car in the streets of the United States. Today is Friday, August 26, 2017. Who today spoke the names of these 35 martyrs? Who stopped what they were doing, today, and “remembered”. Who re-membered them, who re-called them, who conjured them … today? The unnameable showed up on that hill in 2012 as it did in the streets of Charlottesville in 2017. The late, ultimate racism, the last of many, has not yet ended; it is alive and killing, taking lives, threatening entire populations. When we speak the names of the martyrs, we speak their names in a raging ocean of unconditional silence, the silence of the massacred, and we cannot yet claim to remember them. That faithful day has not yet come, and we are not yet at racism’s last word. Instead of promising to remember and to never forget, let us try as best we can to speak the names in the hope that someone might hear, might understand, and might, might, just carry it on. South Africa is currently awash in commissions of inquiry. There’s the ongoing and perhaps never-ending Marikana Commission. Today we read there’s to be a new commission of inquiry into the Tongaat mall collapse, last November. And there’s the Khayelitsha Commission of Inquiry into allegations of police inefficiency in Khayelitsha and a breakdown in relations between the community and police in Khayelitsha. 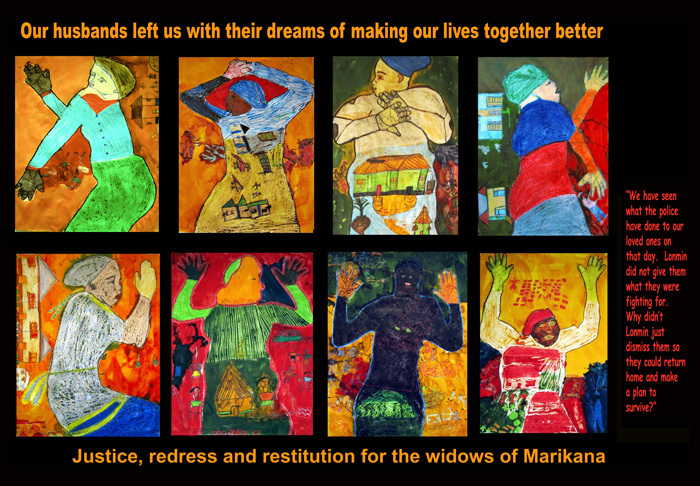 While women are significant participants in the Marikana and the Tongaat events and commissions, women are in many ways the subjects of the Khayelitsha Commission. This is not surprising, given the nature of the inquiry. The Commission’s mandate isn’t to get to the bottom of a tragic event, but rather to investigate and get to the texture of decades long dissolution of everyday life. 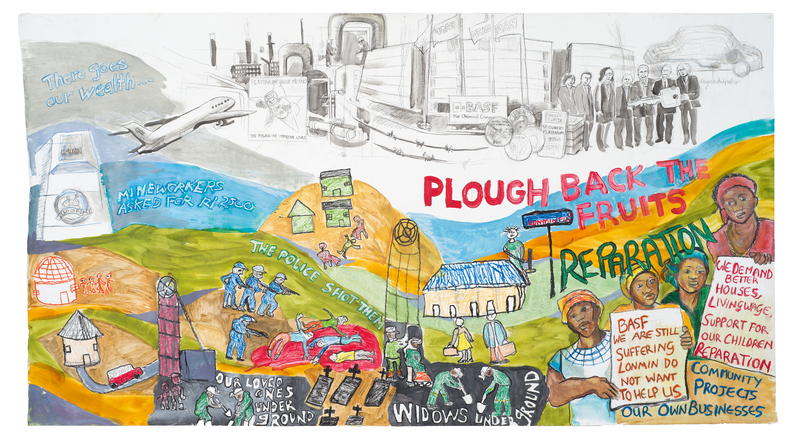 In the 1980s, the State built Khayelitsha and has continued to do so ever since. Part of this construction has involved the establishment of a State of sexual tyranny. That State of sexual tyranny has come forth in the testimony of Khayelitsha residents to the Commission. Throughout the decades, women have kept their eyes on the prize. Khayelitsha is home. They should be able to live, and love, at home without fear of violence. Their children, partners, parents, friends, neighbors should as well. Through the use of public funds and private security forces, Cape Town has established `improvement districts’ … in the central city, inner southern suburbs, Sea Point and Green Point. Not in Khayelitsha. The women know that, and they don’t accept it. Malwande Msongelwa described what happened when she found her brother, stabbed to death at a bus stop. She called the police, and they didn’t come. She called again, and they finally came, but did nothing. Worse, they refused to get out of their cars: “The police do not care about people… [they] will only come out if there are drugs. Then they will come out with 10 cars …They do not even care if you are injured… If the ambulance hasn’t arrived they won’t touch you. They wait in their car… I don’t trust the police.” Her brother lay on the ground for six hours. The crime scene was never investigated. Witness and after witness explained that lights, presence, a diversity of site appropriate techniques, a committed and engaged and respectful police force are what are called for. It’s not rocket science, and it’s not impossible. The women of Khayelitsha know that. They know, from experience, that when the work of struggle accompanies the work of mourning, they can make things happen. The Commission itself is a step along that path. The struggle continues. It’s been a year, almost, since the massacre at Marikana, and the nation, and its media, are struggling, sort of, to find a way to address all that has, and even more has not, happened in the intervening year. A year later, tensions simmer, the Farlam Commission is more or less falling apart, some great and moving documentaries are beginning to emerge, and the widows of Marikana organize and wait, wait and organize. This is how the week began. 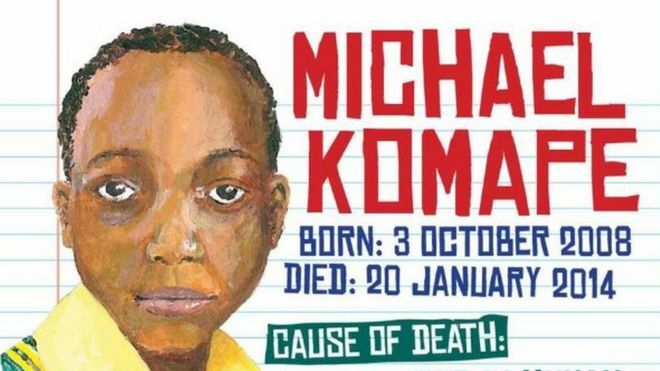 On Sunday, in a prayer service in Langa, national police commissioner Riah Phiyega announced that South Africa would `commemorate’ the Marikana tragedy. How exactly will the police, who used live ammunition to put down a mineworkers’ strike, `commemorate’ the event? 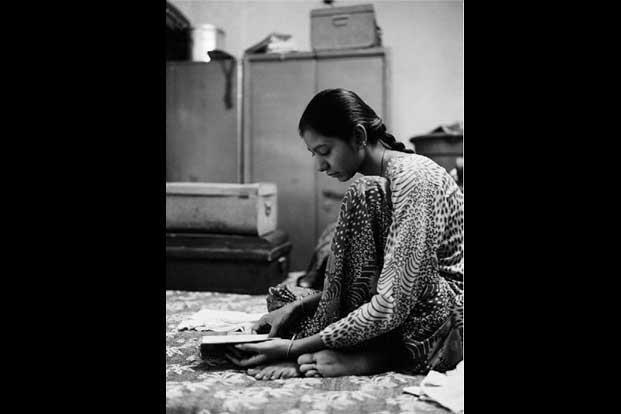 The State machinery, call it a factory, produced widows of women that day, and has continued to produce widows of those very women every single day since. So, here’s a suggestion. Rather than `commemorate’, compensate.